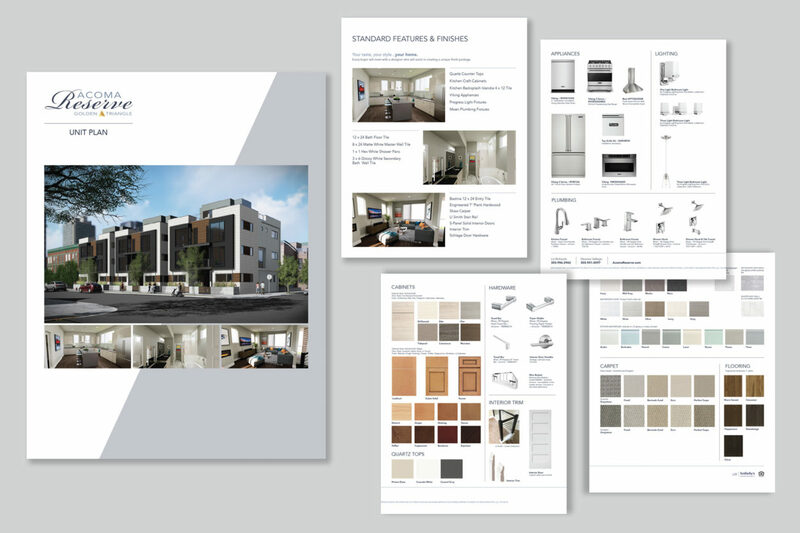 Challenge – To style a brand that not only matched the neighborhood but also took the price point of this product into consideration for potential buyers without being able to physically show the product. 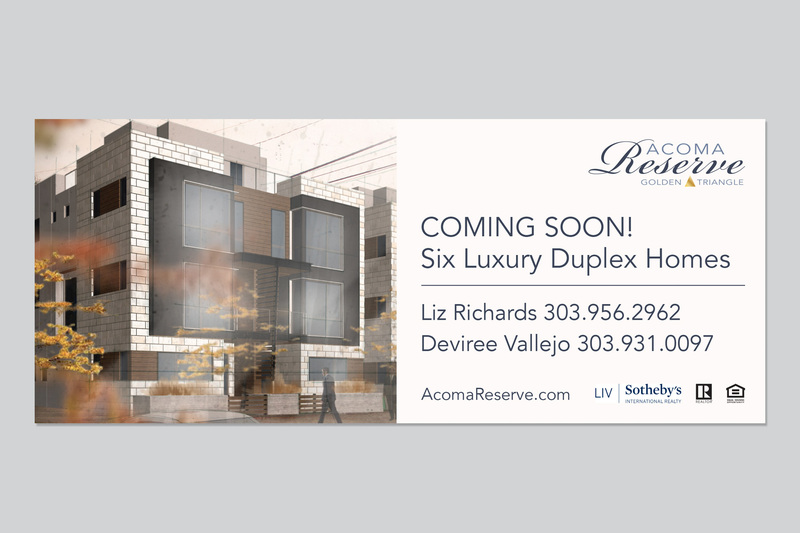 Result – This project is located in the heart of the Golden Triangle in Denver. We wanted to utilize this symbol into the logo. Then, with the art, culture, restaurants, and more all just within walking distance, we walked the neighborhood and took shots of the local establishments. 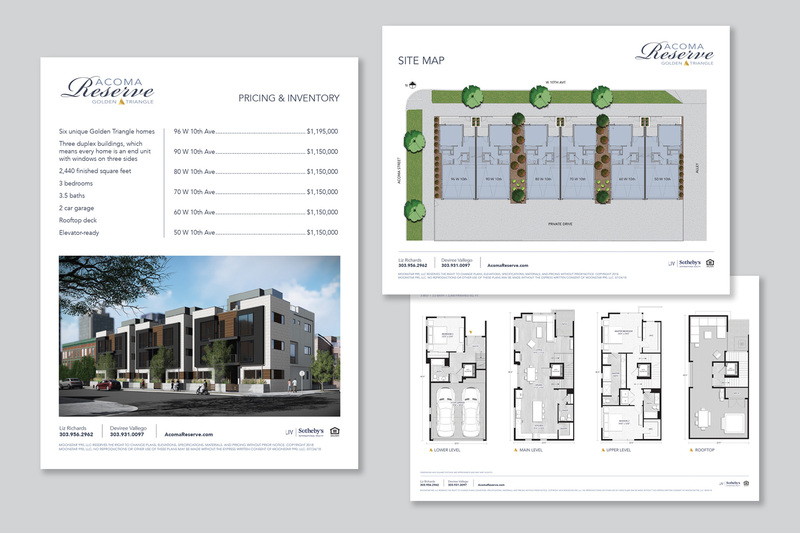 For this price point, our potential buyers expect nothing but the best for a luxury, new home experience. 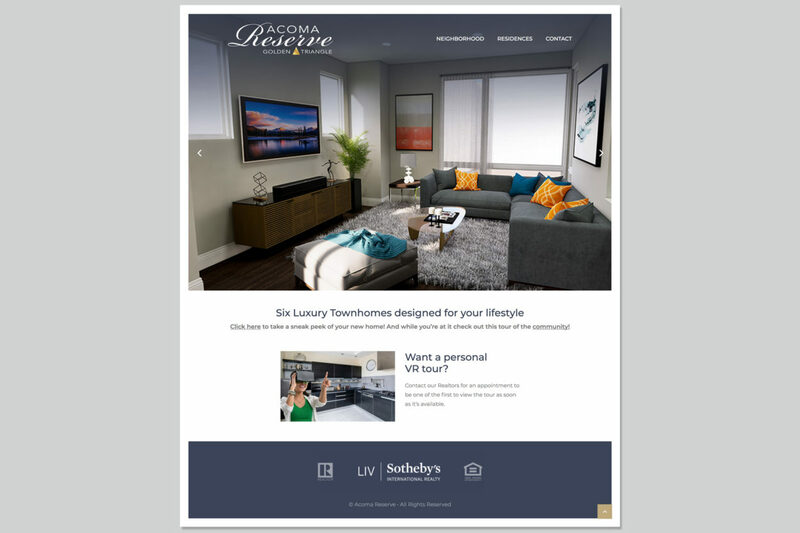 With no on-site model to view, we created a 360 degree tour that starts on the website and ultimately encourages prospects to visit the Realtor’s sales office for the full VR experience. With this virtual tour, the prospect is able to walk through the home without truly walking anywhere.